I'm always surprised at how many fairy tale lovers haven't read - or "just don't get" - Bill Willingham's Fables. Maybe you're slightly more interested now that the similar premise of ABC's Once Upon A Time has caught your attention (sometimes, despite itself) but I have to tell you: if any of the main ideas in OUAT appeal to you (eg bringing fairy tale characters to our world, updating and twisting together their stories in familiar yet completely different ways, fairy tale characters having very human - and grown-up - drama etc) then Fables will blow you away. Basically, if you love fairy tales and haven't read Fables, you are missing out on one of the most interesting "revisionings" of our favorite tales to date (and Willingham is a fairy tale research nut, sliding in all sorts of references to lesser known tales, their histories, variations and A-Ts* which makes the series an extra joy to read). In an attempt to help you get into a huge, and admittedly daunting, series I realized it would be really handy to have a reference to walk you through it (hence this page). A newbies overview, explaining the basics. Most of your questions will be answered here (including the "that just sounds ridiculous" ones). With well over one hundred issues, special editions, self-contained special issues, spin-offs and cross overs it's not only daunting getting started but confusing. 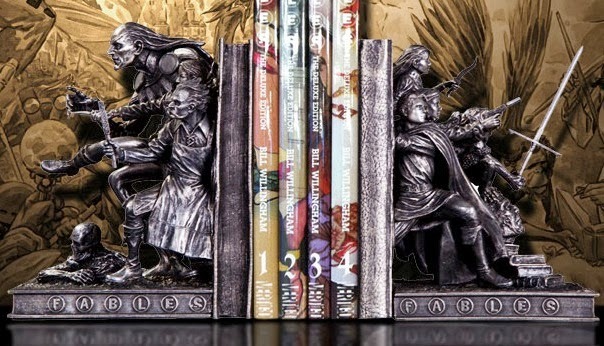 This guide steps you through, letting you know when a good time is to read the special volumes in between the numbered issues. 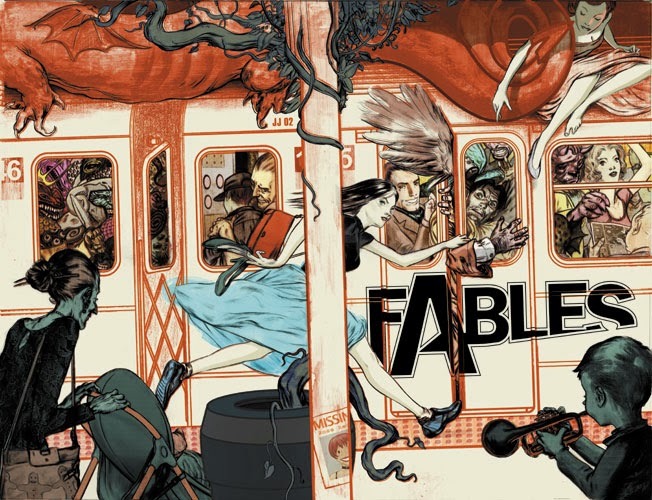 Note: If you love Once Upon A Time I suggest you start with the Cinderella and Rapunzel stand-alones (Fables Are Forever, From Fabletown With Love and Fairest: Hidden Kingdom) then go back to dive into Fables Volume 1. A call to "disarm" by creator Bill Willingham when fans got upset at OUAT getting a TV series on a similar premise. Note: ABC's show is more fantasy soap-drama, generally family friendly with happily-ever-afters proving rather elusive while Fables is hard-boiled, more adult and tends toward the noir (with good possibilities of happy endings, though not always). 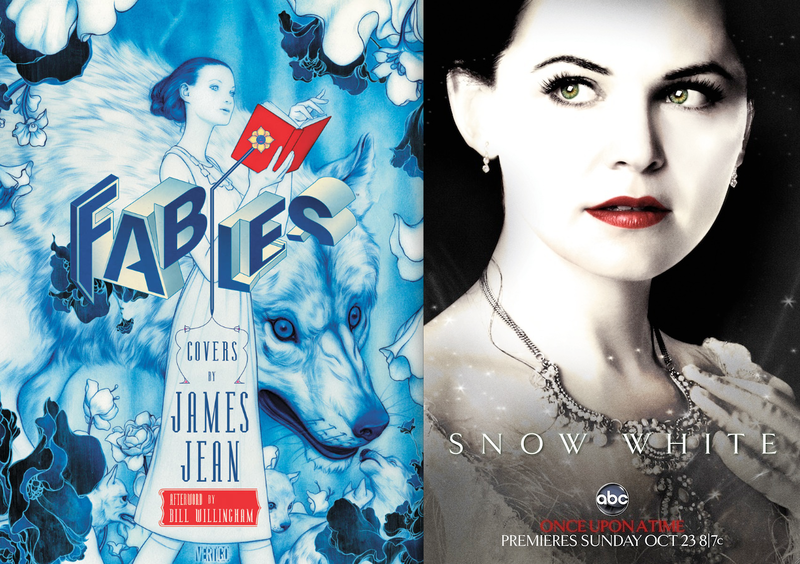 2 Pinterest boards with lots of stunning Fables covers in particular. These are continually growing. 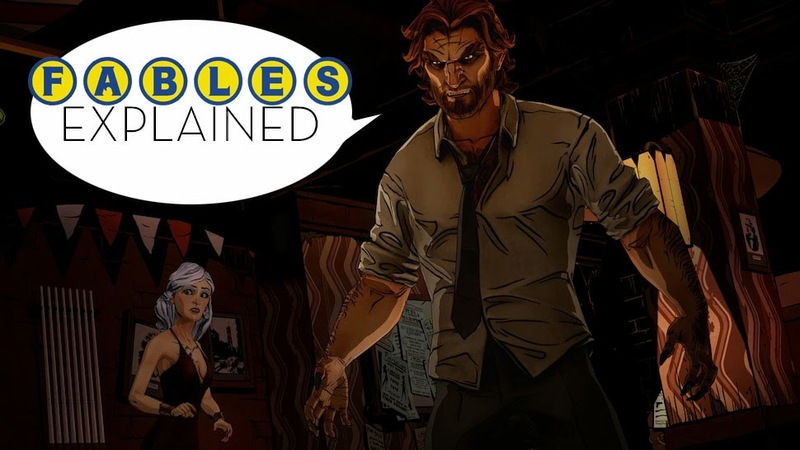 If you suddenly find yourself fascinated with Fables and want more, there are lots of extras to explore in addition to the comic books. 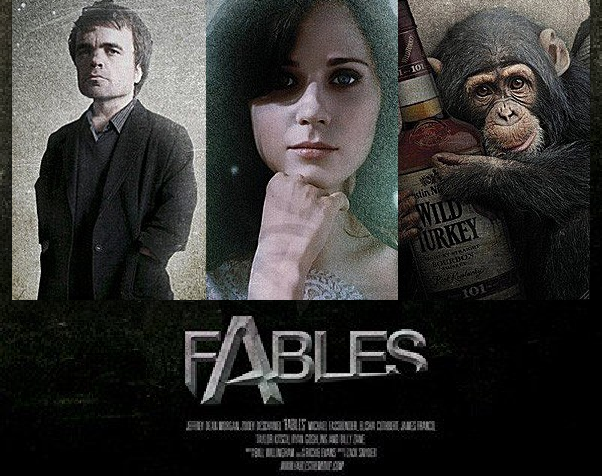 THEY'RE MAKING A FABLES MOVIE!